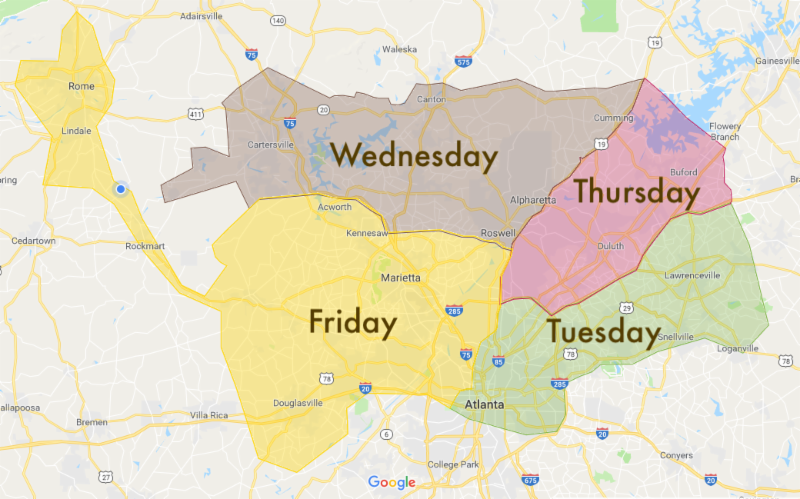 Home delivery map: This week I'll be adding Flowery Branch to the Thursday route. 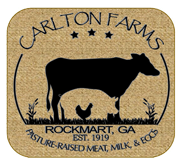 More home delivery details listed below the map. 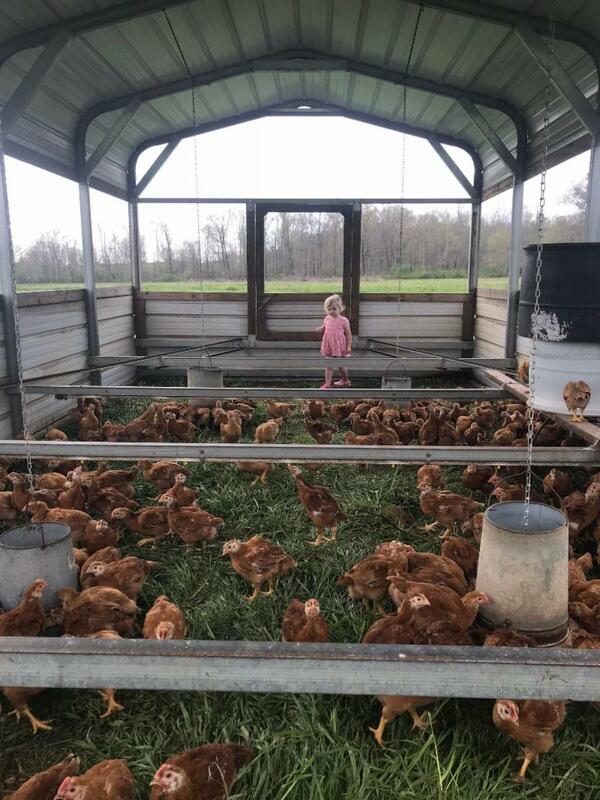 (I actually thought we were on episode 5, but I've been told its number 6. haha) Our first batch of 2018 broilers are doing quite well on pasture. We got them started earlier than normal, so I wasn't sure what effect the early spring weather would have. As you can see from the picture, they are enjoying a nice salad bar to go along with their non-GMO feed. The grasses are primarily rye-grass and clover. This batch had had to experience a few cooler night than the later batches will, but they have the advantage of the best grass of the year. 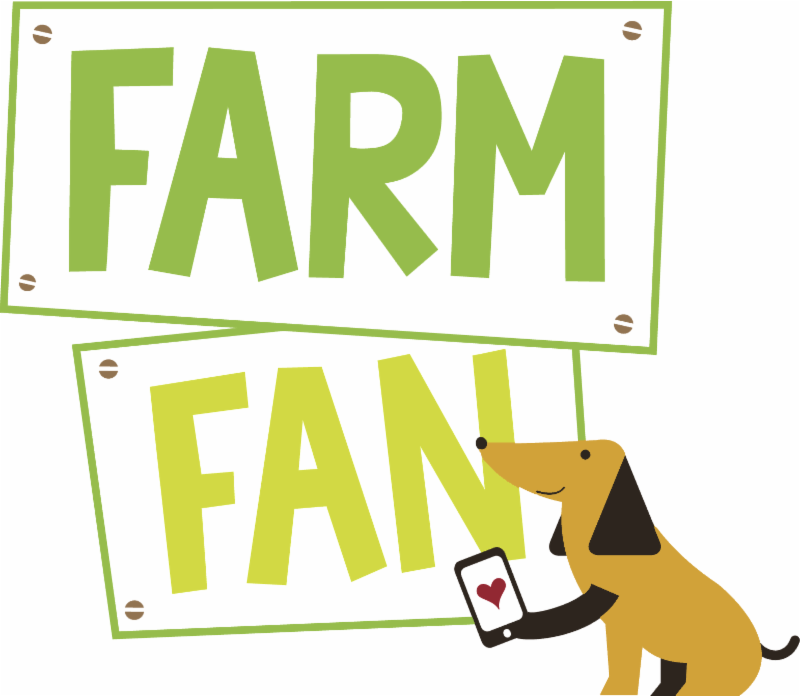 Right now it looks like the processing date will be around the 2nd week of may, so watch your emails a week or two before then. 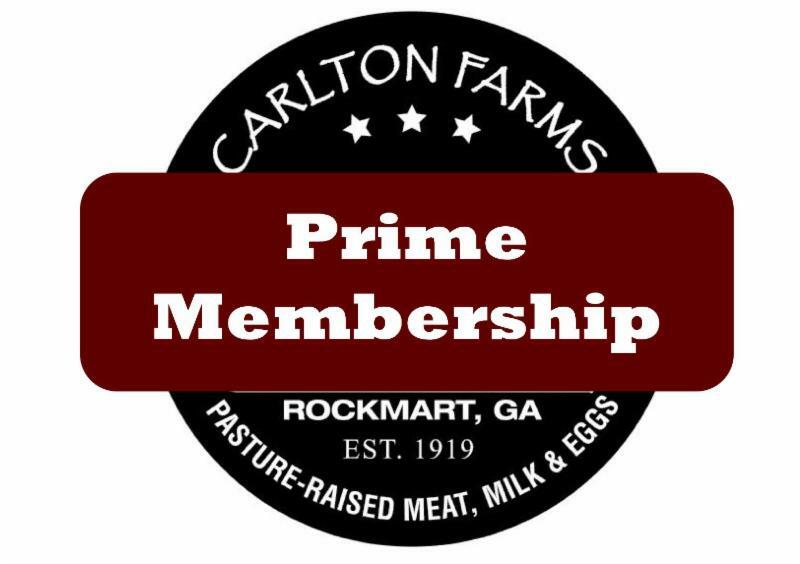 Carlton Farms Prime members will get an earlier ordering window.